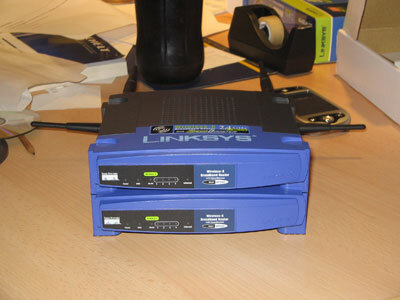 After some minutes the job was done – and openwrt instead of the original firmware was flashed into the two new linksys routers. Please welcome OpenWrt – “White Russian RC2”. “With the release of the Linux sources for the Linksys WRT54G/GS series of routers came a number of modified firmwares to extend functionality in various ways. Each firmware was 99% stock sources and 1% added functionality, and each firmware attempted to cater to a certain market segment with the functionality that they provided. 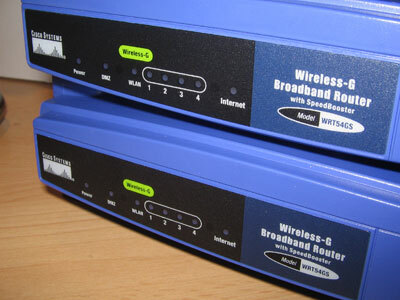 The downsides were twofold, one – it was often difficult to find a firmware with the combination of functionality desired (leading to forks and yet more custom firmwares) and two – all the firmwares were based on the original Linksys sources which were far behind mainstream Linux development.